Fans of the Marvel shows on Netflix can breathe a sigh of relief as it looks like Disney isn't going to pull them from the streaming service. At least not in the near future. Disney is launching their own streaming service in 2019. It was recently revealed that future Marvel shows are going to be produced exclusively for their service, with many reports claiming shows like Daredevil would no longer be on Netflix in the future as a result. However, film reporter Ben Fritz has taken to Twitter to squash that rumor. "To answer the same question from a few people: The Marvel shows currently on Netflix, and any spin-offs from them, will stay on that platform." 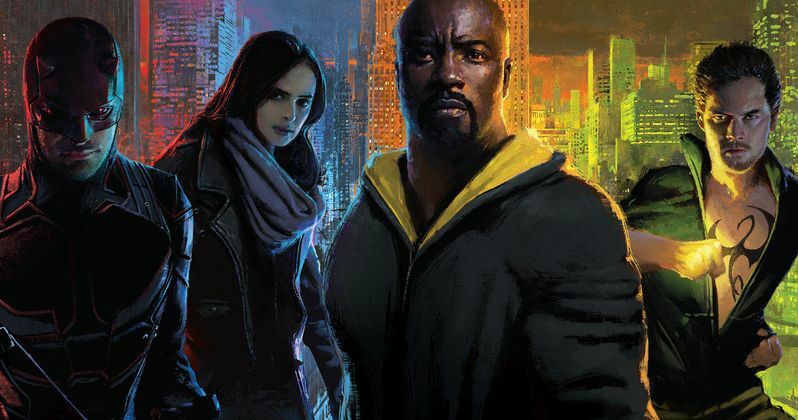 So it looks like Daredevil, Jessica Jones, Luke Cage, Iron Fist and The Punisher, and anything that results from any of The Defenders shows, will continue to have a home on Netflix, despite Disney venturing into the streaming game for themselves. However, that does mean that, more than likely, Netflix won't be cutting any deals for new shows in the future. So they'll have to make do with what they've got. Disney's streaming service won't launch until 2019, but it's already got a lot of people talking and is set to cut into Netflix pretty hard, even though the Marvel shows are still going to be on the streaming giant's platform. Disney has, or at least had, a deal with Netflix that allowed for their movies to debut exclusively on the streaming service just after the Blu-ray/DVD release. However, as Disney wants their content for themselves, the Mouse House is going to pull their content from Netflix once their streaming service launches. Also, as Disney CEO Bob Iger recently revealed during a conference call, Disney's service will be "substantially" cheaper than Netflix at its launch. "I can say that our plan on the Disney side is to price this substantially below where Netflix is. That is in part reflective of the fact that it will have substantially less volume. It'll have a lot of high quality because of the brands and the franchises that will be on it that we've talked about. But it'll simply launch with less volume, and the price will reflect that. There's a gigantic potential Disney customer base out there that we're going to seek to attract with pricing that is commensurate with or that balances the quality of the brands and franchises that are in there, but also takes into account the volume. And that will give us an opportunity to grow in volume and to have the pricing over time reflect the added volume as this product ages." It was also recently revealed that Disney's streaming service will include a live-action Star Wars TV show, which is something fans have wanted for a very long time. The Wall Street Journal's Ben Fritz may have been able to extinguish the rumor about the Marvel shows on Netflix, but it still looks like the current streaming giant is going to have some huge competition in the next year or so.